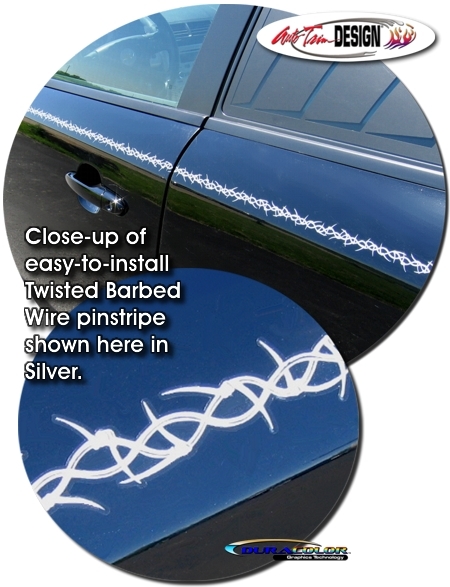 Trick out your vehicle with our unique "Twisted" Barbed Wire pinstripe tape kit. Visible width of pinstripe varies between .375" (9.525mm) and .75" (19.05mm). More than enough striping is provided for an installation on any car, truck or motorcycle. Twisted Barbed Wire pattern is easily repeatable for a continuous application.